Regional Forest Agreements (RFAs) covering the Central Highlands, East Gippsland and the North East have been extended by the State and Federal governments, bringing them into line with two other agreements that expire in 2020. The current RFAs, established 20 years ago, are agreements between the Federal Government and the states which aim to achieve a balance of the economic, social and environmental values of native forests. The imminent expiry of the three RFAs forced a decision. The two-year extension has been welcomed by the broader timber industry as providing certainty for the next two years, but the Greens and environmental groups have decried the move saying it opens a two-year window of opportunity for “untold damage” to Victoria’s native forests. Announcing the extension on Tuesday, 27 March, the State Government said it was modernising the RFAs to support jobs and improve the long-term management of Victoria’s forests. They said the two-year extension would provide certainty for timber harvesting operations and the workers in the industry while providing time for consultation with scientific bodies, industry and the community to bring the RFA framework into the current era. “Our RFAs are more than 20 years old, and don’t reflect modern forest science or the needs of local communities – that’s why it’s so important to modernise these agreements and get them right,” Minister for Environment and Climate Change, Lily D’Ambrosio said. 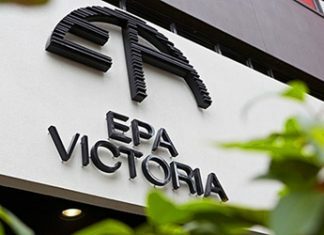 Peak associations representing Victoria’s timber industry have ‘cautiously’ welcomed the announcement stating in a joint Victorian Association of Forest Industries (VAFI) and Australian Forest Products Association (AFPA) release that more needs to be done to secure the long-term future for jobs and resource supply. They are calling for a 20-year extension to all five RFAs to achieve that aim. “Victoria’s highly-regulated timber industry strongly supports the RFA framework, which provides 20-year plans for the sustainable management and conservation of Australia’s publicly owned forests,” VAFI CEO Tim Johnston said. He called for extended RFAs to include guaranteed volume and quality of timber supply for allow for long-term investment in value adding technology. AFPA CEO Ross Hampton said the RFAs had achieved the right balance between the environmental, social and economic considerations. “RFAs are required by law to be independently reviewed every five years, and all reviews conducted have found that they are meeting or exceeding all environmental objectives,” he said. 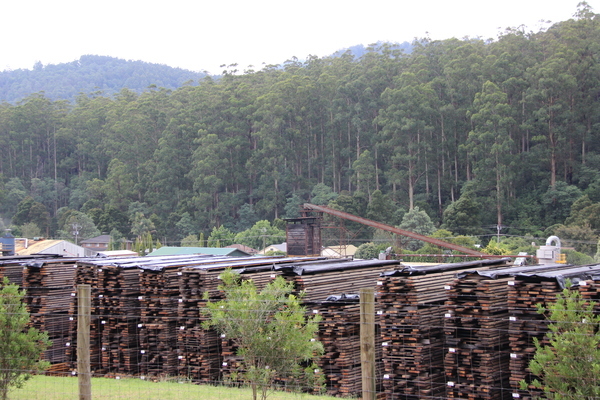 CEO of the state-owned timber harvesting and resale company VicForests, Nathan Trushall, also welcomed the extension saying it provided certainty for their customers and contractors while a more extensive review by state and federal governments is undertaken. The Greens, and environmental groups, however, have condemned the RFAs as “archaic” and both the Prime Minister Malcolm Turnbull and Victorian Premier Daniel Andrews for signing off on the two-year extension. They say not only do the RFAs preserve the status quo, giving loggers guaranteed supplies of timber from native forests, but exempt them from federal environmental laws and do nothing to protect forests from logging. While welcoming the Kuark Forest decision, Victorian Senator and Greens spokesperson for Forests, Samantha Dunn MLC, said the two-year extension, does nothing to protect high-conservation forests that are home to threatened species such as Leadbeater’s possum and the Greater Glider. “ … the worst thing the state and federal governments could do for our native forests is to extend them as a package (five RFAs) when the time comes,” she said. Australian Greens Senator Janet Rice also labelled the decision ‘extremely disappointing’ saying the RFAs haven’t worked. She called for an end to native forest logging and a shift to 100 per cent plantation-sourced timber. 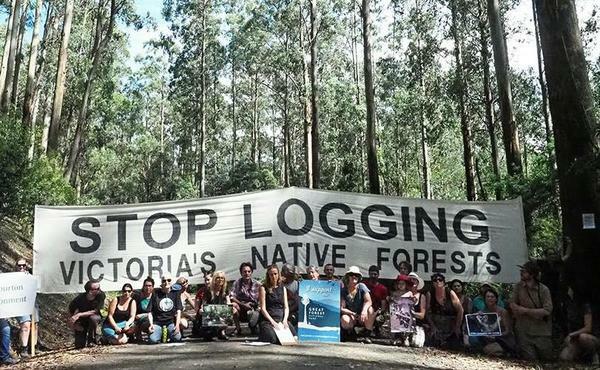 Friends of the Earth (FoE) are also critical of the decision with campaigns co-ordinator Cam Walker calling for a stop to logging. “RFAs have been an unmitigated disaster for native forests. It is essential that the state government put a moratorium on any logging that may affect endangered species while the scientific and economic reassessment is conducted,” he said. While welcoming the Kuark Forest protection, he said there remain important old growth forests that are still unprotected. “This is a good start, and the next step must include the moratorium, the creation of the Great Forest National Park in the Central Highlands, and a full transition package for workers in the native forest industry,” Mr Walker said.